Do you like baking? Do you like working with kids? 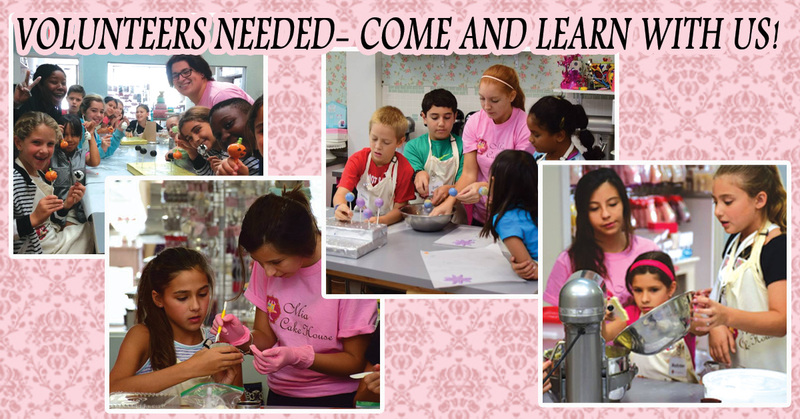 Learn to bake and decorate with us! Cupcakes, Cake pops, cookies, French macarons, Personal cakes and more. So if you are 15 and older just leave your information in the Volunteer registration form. Sign here for the sessions you would like to volunteer in! We have only a few volunteering opportunities every week so we count on your assistance. If there is any change with your availability please let us know ASAP. If you need Service Learning Hours, first check with your school if volunteering at Mia Cake House qualifies (some school accept for profit hours some don’t). The volunteering opportunity is for people who want to learn and participate in baking activities with children in our camp and not solely for completing service hours. We will provide you a Mia Cake House Shirt. We Appreciate your help, thanks.